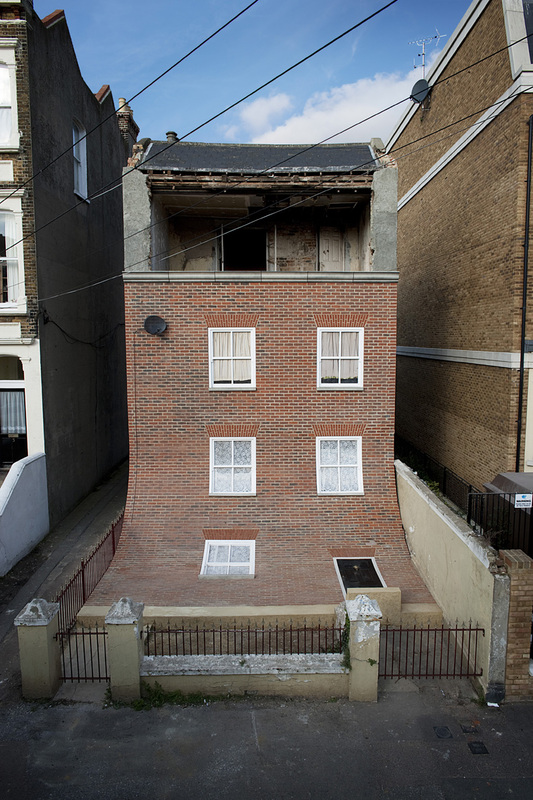 Created by British designer Alex Chinneck, this fun intervention creates the illusion that a brick facade has melted right off the side of a building and into the front yard. Titled From the Knees of my Nose to the Belly of my Toes, the piece was installed in the English seaside town of Margate, and the artist chose to present it without any identifying information, leaving locals amused and scratching their heads. Chinneck spent the better part of 12 months engineering the installation and worked with several companies that offered to donate materials. He tells Dezeen that he’s fascinated with spectacles and that he “wanted to create something that used the simple pleasures of humour, illusion and theatre to create an artwork that can be understood and enjoyed by any onlooker.” The piece will be on view for a year before the building is eventually demolished. Read and see more over on Dezeen.